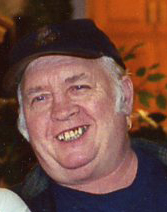 James Larry Kelsey, age 75, of Lawrenceburg, TN passed away Sunday, March 31, 2019 at his residence. He was a native of Lawrence County, TN, and a retired machine operator. He was preceded in death by his parents, John Lester and Ruby Lois Brown Kelsey; one son, James Larry Kelsey II; and one brother, John Lester Kelsey II. He is survived by his wife, Judith Sejbl Kelsey of Villa Park, IL; two daughters, Jean Kristufek (David) of Fall Creek, WI and Anne Marie Kelsey of Villa Park, IL; two brothers, Vernon Carl Kelsey (Jennetta) of Lawrenceburg, TN and Troy Edwin Kelsey of Lawrenceburg, TN; and three grandchildren, Jeremy James Malinek, Kelsey Marie Kristufek, and Samantha Croston. Arrangements are being handled by Neal Funeral Home, 231 N. Military Avenue, Lawrenceburg, Tennessee. The family will receive friends from 1:00 PM to 3:00 PM Thursday, April 04, 2019 at Neal Funeral Home. Funeral services will be conducted at Neal Funeral Home at 3:00 PM Thursday, April 04, 2019, with Charles Gresham officiating. Interment will follow at Cedar Hill Cemetery in Leoma, TN.